Masik Durgashtami is observed every month during Ashtami Tithi of Shukla Paksha. Masik Durgashtami is also known as Maas Durgashtami or Monthly Durgashtami. This day is observed from morning to evening. This day is dedicated to Goddess Durga. Devotees observe fasts and offer prayers on this day to seek the blessings of Goddess Durga. Maa Durga Puja is performed on this auspicious day and devotees are blessed with fulfilment of their desires. The supreme Mahashtami falls in the month of Ashwin. This is the occasion when Shardiya Navratri festival which is followed for nine days is celebrated with great enthusiasm and emotion. 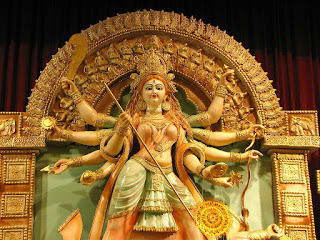 People worship nine manifestations of Goddess Durga on these days with sanctity. Dishes like Kheer, Halwa and many others are prepared at home with sanctitude. Small girl child denoting these manifestations which are referred to as Kankakein are offered Halwa, Puri and Dakshina. Their feet are washed with holy water and Puja is offered to them. 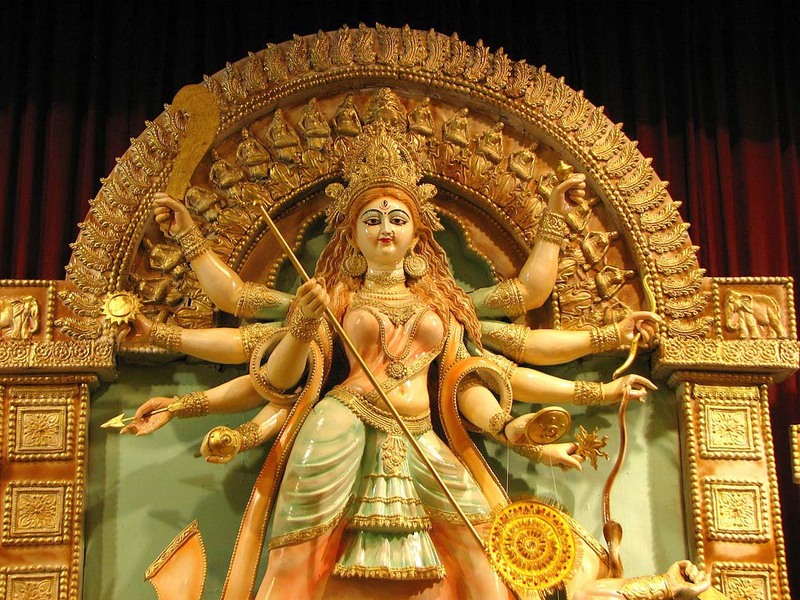 Durga Puja is dedicated to one of the manifestation called Maha Gauri (eighth manifestation). Worshipping her will relieve the devotees from their sufferings and barriers. Those who observe this occasion with diligence and with the procedures tend to seek blessings and prosperity in their lives. Devotees wake up early in the morning to perform puja of Goddess Durga. Devotees light 'Akhand Jyot' in front of Durga's idol on this day. According to beliefs, devotees do not leave their house vacant on this day. Devotees also offer incense ticks, coconut and ring the bells or blow the shank to invoke the Goddess. People also observe the ritual of growing wheat or barley in the earthen pots during Durga puja. The plantation of the seeds signifies prosperity and growth. Devotees observe fast on the occasion of nine-day-long Durga Puja celebrations every year with full faith and sincerity. The purpose of observing fast is to impress Goddess Durga and seek her blessings. Fasting on this day has a great importance and has a spiritual significance. Milk and fruits are consumed on these fasting days. The purpose of the fasting is to show the spiritual devotion towards the Goddess. Devotees who fast during these days with diligence are blessed with love, prosperity, growth, success and peace.